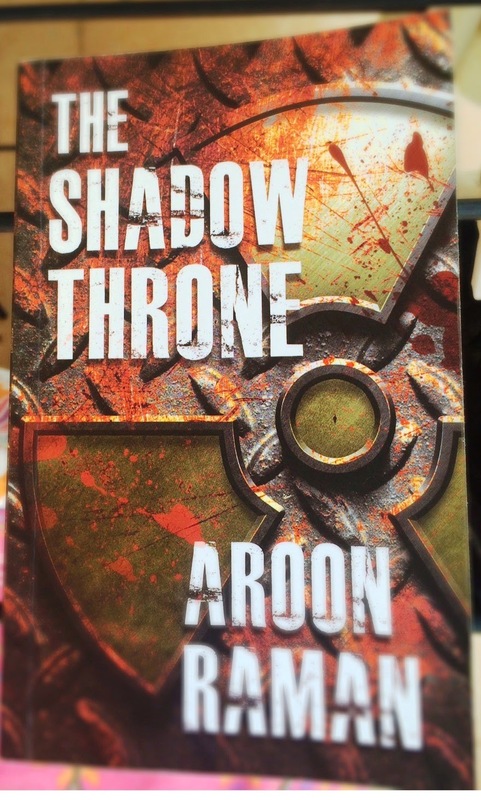 Aroon Raman is the author of the national bestseller – The Shadow Throne. After completing his Masters in Economics from Jawaharlal Nehru University, Aroon Raman went on to pursue his MBA from Wharton School, University of Pennsylvania. When he isn’t writing, travelling, trekking and advising and supporting NGO’s, Aroon Kumar is busy in his Research and Development Company. His second book, The Treasure of Kafur was released in 2013. I bought this book when I was at the Goa Literary Festival in October this year. The book caught my attention because the blurb was well-written and had an element of mystery. I had read a lot of novels like this before, but all of them were written by International authors. This was the first time that I had bought a thriller written by an Indian author…Rest assured, I do not regret my decision! The book revolves around 3 very strong characters – Syed Ali Hassan, an inspector; Chandrashekar, a journalist and his friend Meenakshi Pirzada, an associate history professor. What begins as a murder at the Qutub Minar, slowly develops into a game of hide-and-seek, which soon involves Pakistan’s ISI as well as India’s RAW. As the story unfolds, we find the three characters caught in a dilemma – Who do they trust? Can they save their country from nuclear destruction? Will they get out of this alive? The reason I liked the book is that the descriptions are good. For someone like me who is not too aware of politics and the terminology related to it; the book provided me all that information in simple language which kept me informed and yet did not stop the flow in any way. I liked the way the author has added the lyrics of a song that I like in the novel which helped me relate to the book more J! His in-depth knowledge of the subject, the use of appropriate words coupled with a few simple dialogues in Hindi made the book an instant hit with me! I recommend you buy this book if you like suspense, thrill and mystery. Note: Friends - You can always borrow mine! Good one.. i am waiting to get my hands on it now.. I am big fan of soy and international espionage novels as you know.. Indian author writing this.. should be interesting, especially after your review.